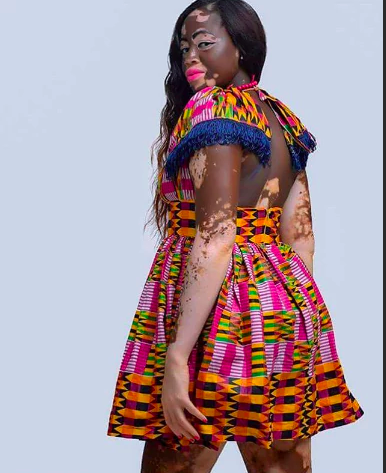 Enam Heikeens Honya suffers from rare skin condition vitiligo. This is where pale white patches develop on the skin. The condition is caused by the lack of melanin, a pigment in the skin. For Enam the white patches cover 92% of her body. 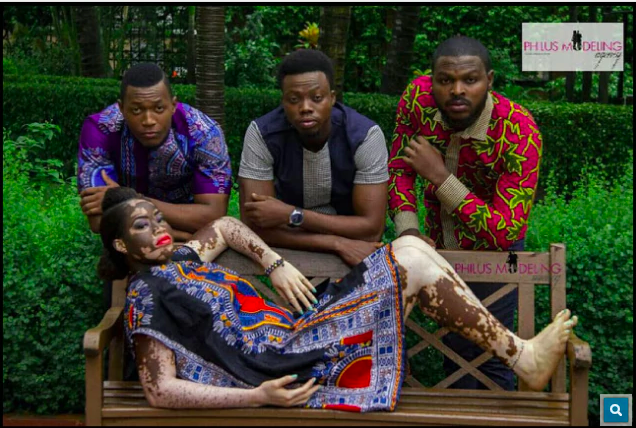 But the 24-year old is determined to break the stigma and discrimination that comes with the condition. 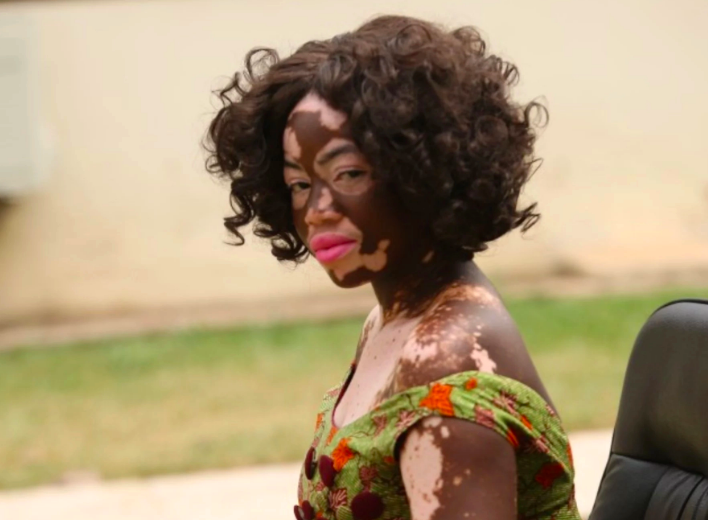 The nurse from Ho in the Volta Region is now a vitiligo ambassador in her hometown of Ghana. But she admits it has been a long and arduous journey to embrace the person she sees in the mirror. When Enam was growing up she didn’t know what to make of the white patches that were spreading all over her body. 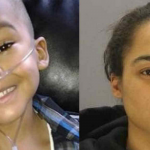 ‘Every time we went to the hospital, the doctors said there was nothing wrong with me. But this ‘thing’ kept spreading”, Enam told Pulse.com. ‘Growing up wasn’t easy…People really stigmatised. You have to go to school and people will not even like to talk to you.” she added. 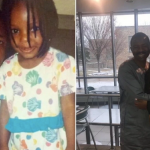 It led to Enam going down extremely dark paths and she even contemplated suicide. Enam decided to start training as a nurse – seeing it as a way to educate people about her skin condition. Enam added that some children who visited the hospital ended up crying when they saw her for the first time. 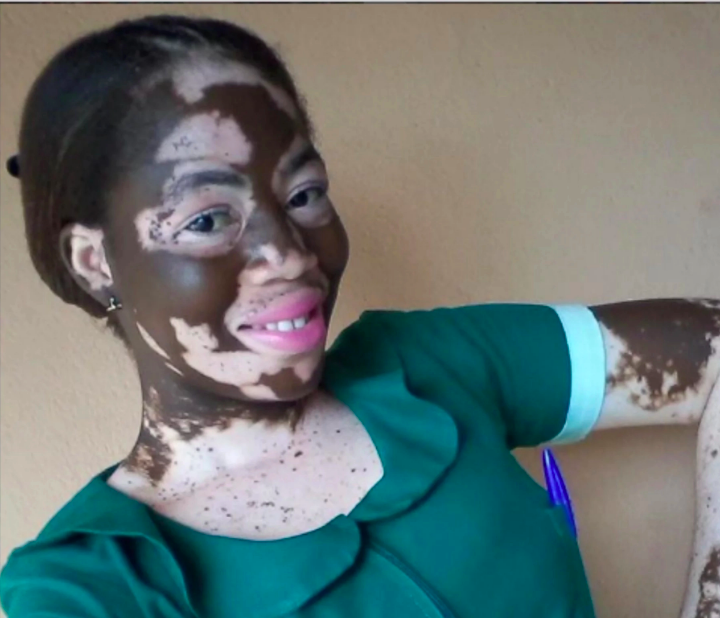 She introduced Enam to the world of advocacy through the Vitiligo Support and Awareness Foundation (VITSAF Ghana). 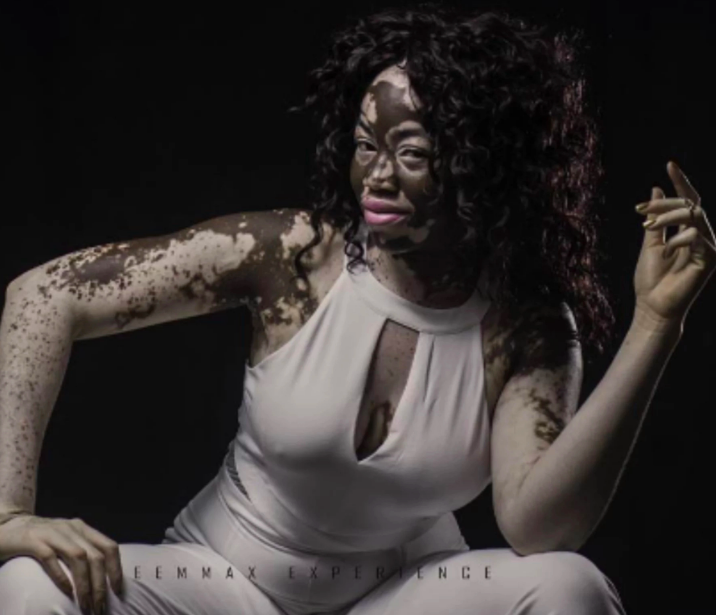 ‘What I really hope to achieve with my advocacy is that I want each and every person with vitiligo to stand proud,’ she says. Enam’s confidence has now grown so much she has started to model. 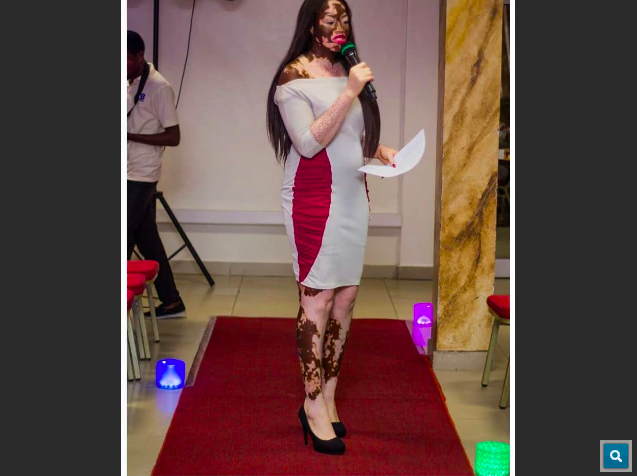 She has even modelled for some of the Africa’s biggest designers.